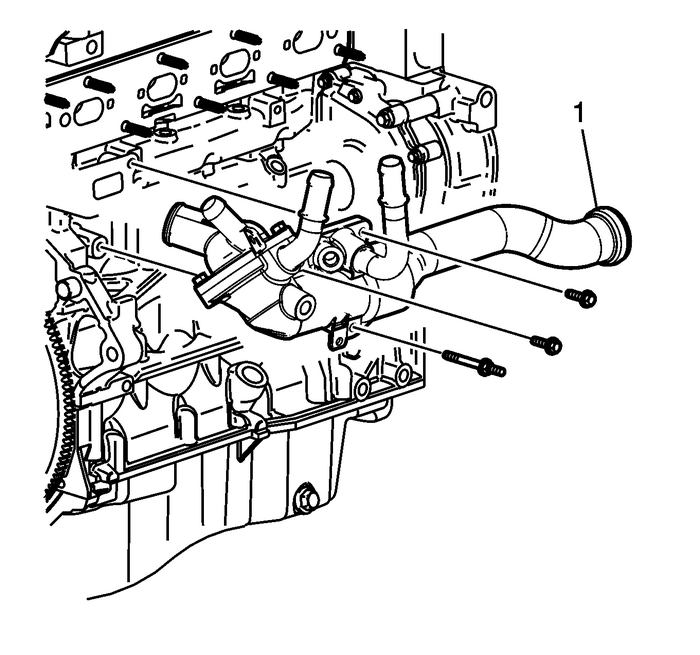 Remove the engine coolant temperaturesensor-(1). 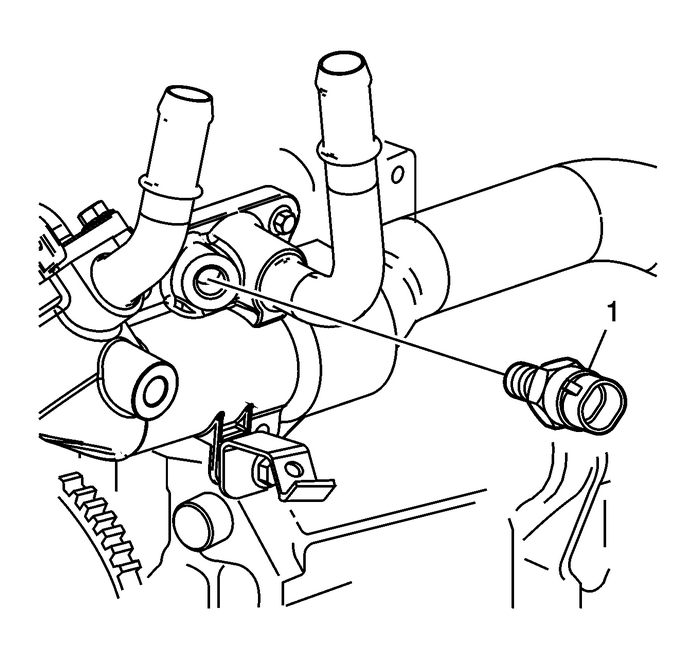 Remove the thermostat and water feed pipe retainingbolts. Note:Twist the water feed pipe while pulling to remove it from thewater pump cover. Remove the thermostat housing and water feedpipe-(1) from the water pump cover. Remove the water pump retaining bolts. 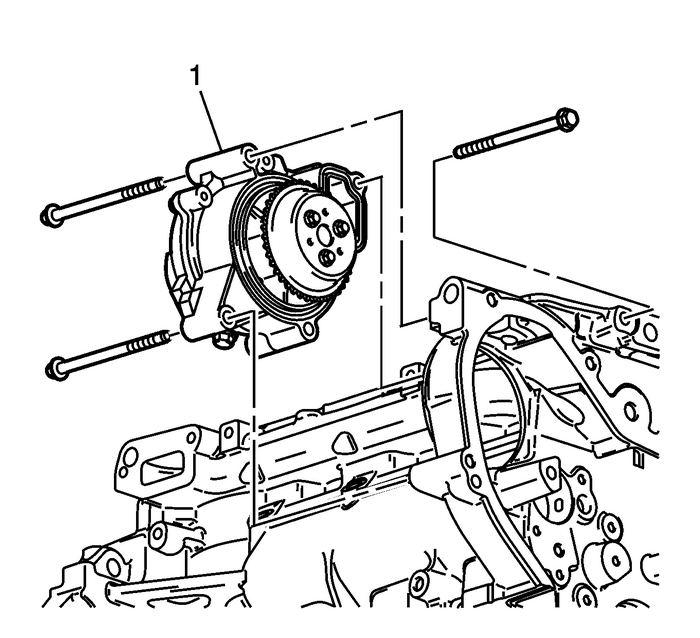 Be sure to remove thebolt that goes through the front of the engine block.Remove the water pump assembly-(1).